Performance Monitoring Toolset provides end to end monitoring and displays actionable metrics for CF Servers. It captures several metrics and these metrics are presented in different views,charts and time-series graphs. We will look at some frequently used metrics which will be used in day to day monitoring of CF Servers. Group : Logical grouping of Standalone CF Servers. User can switch to any Global Filter present in Performance Monitoring Toolset, and all metrics will be displayed from that perspective. 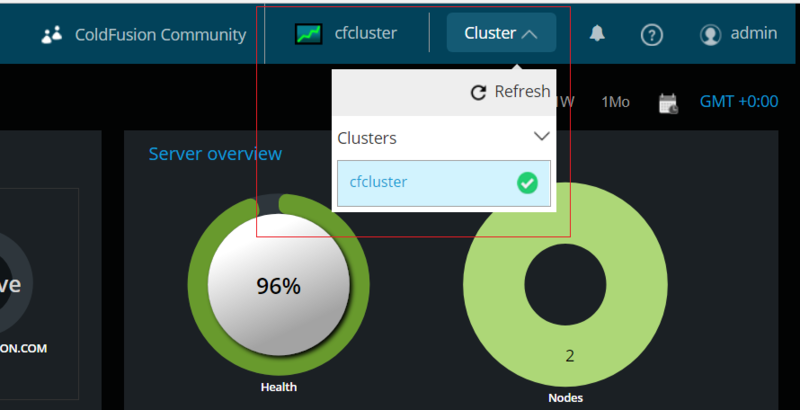 For Example, if there are two CF Clusters (named cfcluster1 and cfcluster2) being monitored by Performance Monitoring Toolset, then user can select one of these clusters at a time and Performance Monitoring Toolset will display metrics as per that cluster. To get a high level overview of CF Server deployment, Topology feature can be used as landing page and user can navigate from there to any component of interest for further analysis. Please refer to Topology: Bird’s eye view of ColdFusion Deployment blog for more details. Rick, once you install it, then assuming it’s installed correctly, it would be on that server (where you installed it) at port 9101, so for instance if you were on the server where it was installed, you could access it via http://localhost:9101/login. And if in installing it, and running the configuration that it would have started, if the PMT did find your CF instance (whether on the same server or on another), then you would find a link to the PMT also from within the CF 2018 Admin itself, on the PMT page in the Admin. See the link for it on the left of the admin, or use the new search feature (at the top right of the CF 2018 cf admin ui) and search “pmt”. You’ll see that page has fields for the servername and port as well. If things are not properly configured, you will see an red “x” rather a green “checkmark”, and then you will NOT see the link to the PMT there. There are many things that can go amiss, if neither of the above works. There are logs for the PMT and for its datastore that you could look into. If you feel stuck even with that info, then perhaps Adobe will help here, but perhaps not (it was a week since you asked). I will add that I can help with troubleshooting the setup and use of the PMT, via my consulting at carehart.org/consulting. It would probably be too difficult to diagnose problems here (also not really suited to blog comments). If you may open a discussion or QA in the portal (or a forum thread), do let us know here that URL and others may well be interested to participate. We installed cf2018. Where o I find the monitoring toolset?